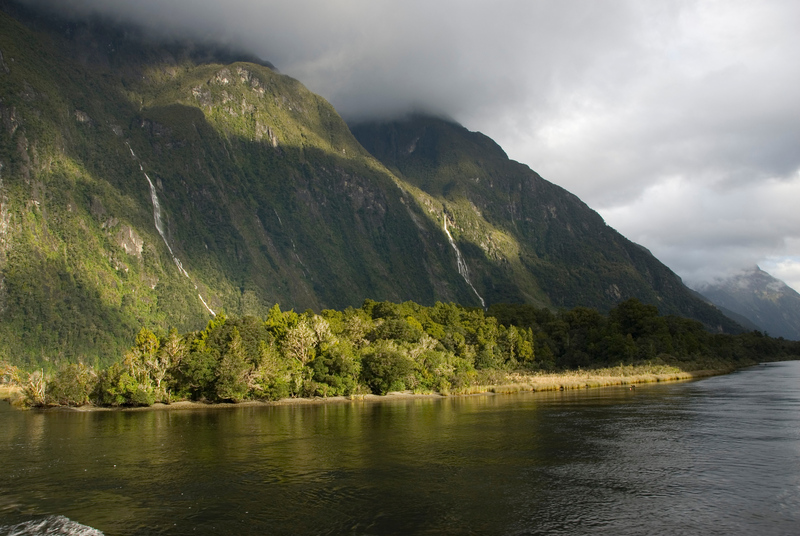 The landscape in this park, situated in southwest New Zealand, has been shaped by successive glaciations into fjords, rocky coasts, towering cliffs, lakes, and waterfalls. Two-thirds of the park is covered with southern beech and podocarps, some of which are over 800 years old. The kea, the only alpine parrot in the world, lives in the park, as does the rare and endangered takahe, a large flightless bird. Te Wahipounamu is the Maori name for the area which includes Milford Sound, one of the most beautiful places I’ve ever visited. I had the pleasure of going there after it had been raining for 24 hours straight. The rain created countless small waterfalls along the sides of the fjord. 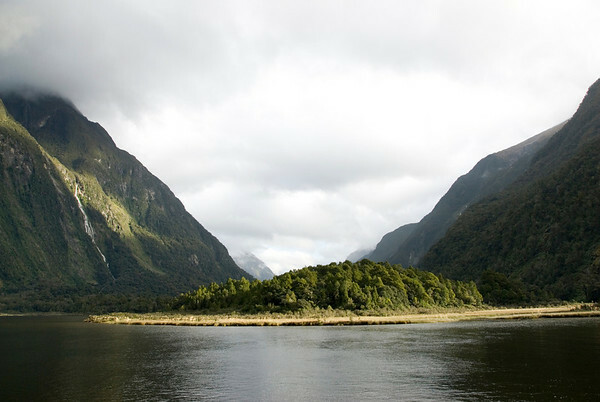 There are four key components that make up Te Wahipounamu: Fiordland (home of Milford Sound and Doubtful Sound), Westland, Mt. Cook and Mt. Aspiring. The entire area covered by the UNESCO property spans a total of 26,000 kilometers. This means that the park alone makes up for 1/10th of the size of New Zealand! Therefore, describing Te Wahipounamu as massive is a bit of an understatement. 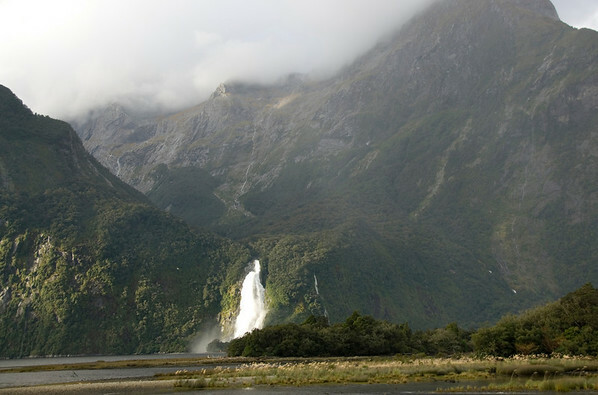 Milford Sound is the most popular of the sites covered by this property. In fact, the area is welcoming a record number of tourists over the past few years. This UNESCO World Heritage is also notable for containing the best modern representation of Gondwana’s flora and fauna species. In fact, this was one of the primary reasons why it was inscribed by UNESCO. The landscape formations of Te Wahipounamu are all about variety. When you see photos of the site, you will often find snow-capped mountains and valleys. These mountains and valleys no doubt dominate the landscape in the property. Within those mountains and valleys are deep lakes and rivers of ice. Meanwhile, there are also waterfalls of all shapes and sizes, together with fjords. In the middle of the mountains and valleys tucked unbroken forests and grasslands. Not only do these forest and grasslands showcase the exceptional natural beauty, but they also serve as habitat for a wide range of wildlife species. Various plants and animal species can be found within the region. The land covered by Te Wahipounamu is a sacred and culturally important site for Ngai Tahu. The mountains and valleys within the property are known as places of gods. The landscape in the area is an important cultural identifier for the Ngai Tahu and their ancestors. In Maori language, Te Wahipounamu translates to “Place of Greenstone”. Therefore, their ancestors claim to have settled in and thrived in these landscapes during the ancient times. View my complete list of UNESCO World Heritage Sites in New Zealand. I too loved Milford Sound and was lucky enough to see it on a sunny day after some wet weather. It was truly stunningly beautiful! I loved Milford Sound, especially all the waterfalls coming down the cliffs and the dolphins that were chasing our boat. The one thing that I found remarkable about New Zealand was how white the sheep were. I traveled as far south as Invercargill. Reminds me of when I was in Norway, the fjords were amazing. There were all these little waterfalls along the cliffs, and I remember there being a set of them called the seven sisters. New Zealand is definitely on my list of places to see. I’m putting this on my things to do before I die list. Wow. *wow*. That is simply stunning. I need to remember that Norway is just across the North Sea before I book a flight to NZ right this minute.